In three years’ time The Medicines and Healthcare Products Regulatory Agency (MHRA) will begin to regulate e-cigarettes as medicines when new European-wide tobacco laws are due to be introduced. The MHRA have confirmed from 2016, cigarette manufacturers will face much stricter regulations than previously, being forced to adhere to strict safety standards or risk their products being banned. E-cigarettes contain nicotine, which can be highly addictive and may even cause heart problems. 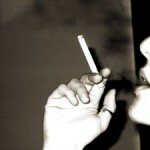 However, there are no harmful chemicals that are contained in regular tobacco cigarettes such as carbon dioxide and tar. The decision, announced yesterday by the MHRA, will cover all products currently on the market that contain nicotine. Along with smoking cessation medication such as Pfizer’s Champix, e-cigarettes have increased in popularity over recent years and there are an estimated 1.3million users just in the UK alone. The battery-powered devices are designed to resemble a real cigarette, but do not require any match or flame to be smoked. 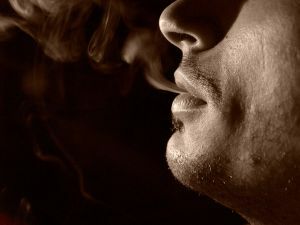 Liquid nicotine is converted into a mist, or vapour, that the user inhales – simulating the process of smoking. As the devices emit a smoke-like water vapour, this has led to the term ‘vaping’ being commonly referred to for their use. E-cigarettes that are deemed fit for purpose and pass the new safety standards will then be available to obtain on prescription from the NHS as an aid for stopping smoking. From 2016, smokers eager to quit will still be able to get their e-cigarettes over the counter in supermarkets and newsagents, however manufacturers will now have to apply for a licence beforehand and will be prohibited at advertising any products judged to be targeted at under-16s. Currently there are chocolate and bubble-gum-flavoured products being sold, but by 2016 it is unlikely these would be licensed. Some argue those particular flavoured-products are merely a ‘gateway to smoking’ for youngsters, and risk helping them to smart smoking when otherwise they wouldn’t. The debate regarding the pros and cons of e-cigarettes is one that will not go away anytime soon. Previously, health experts have voiced their opinions that millions of lives could be saved if smokers switched to e-cigarettes. 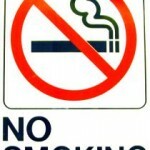 However, unlike regular cigarettes due to the smoking ban, the electronic devices are permitted to be smoked in public places such as bars, restaurants and public transport. There are those who believe this is ‘normalising’ something which is now generally viewed as unacceptable. Whether people can completely rely on e-cigarettes though remains to be seen. 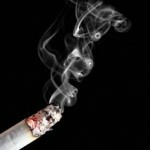 In the past experts have stated that users of the products cannot be guarantee of the purity of the nicotine contained inside them and MHRA research has discovered that amounts of nicotine can be ‘considerably different’ from the level printed on the label, casting doubt on exactly how useful the products are to those who are trying to cut down or stop smoking, a MHRA spokesman said. The previously mentioned smoking cessation medication Champix is a drug which contains no nicotine and works by stimulating the nicotine receptors in the brain, thereby reducing craving and withdrawal symptoms you may experience when stopping smoking. In addition, Champix can also reduce the enjoyment of cigarettes if you do smoke when on the treatment. Champix is available today from Medically Specialists Pharmacy from as little as just £75.00 per pack, a small price to protect your long-term health. November 13, 2013 -- E-cigarettes described as life-savers – but how safe are they? 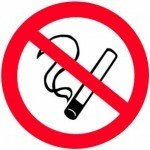 This entry was posted in General Health News, Life Style, Smoking and tagged c-cigarette regulations, champix online, champix uk, dangers of e-cigarettes, e-cigarettes, e-cigarettes pros and cons, e-cigs, pfizer champix online, pfizer champix uk, quitting smoking, stopping smoking. Bookmark the permalink.